This presentation will describe the origins of Grid Modernization and propose a readiness determination methodology. This methodology will then show how to develop a grid modernization project in a rigorous fashion to meet clearly defined goals. 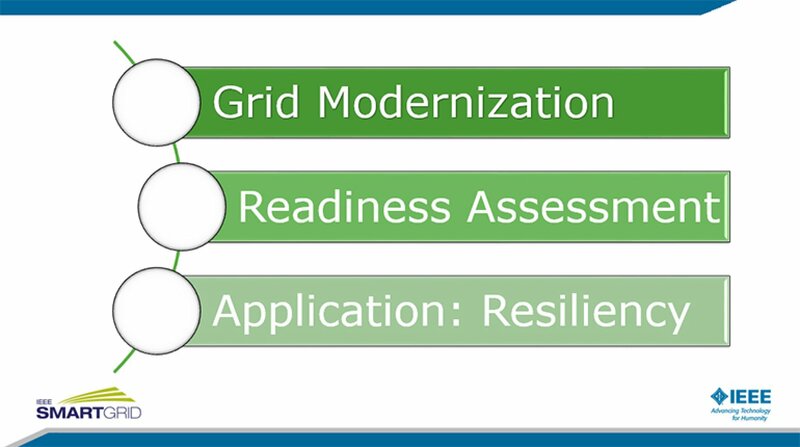 Following this, a framework for one aspect of Grid Modernization, resiliency, will be presented along with a case study to highlight the application of resiliency concepts to meet Grid Modernization goals.